LG announced today that it will soon be launching its own mobile payment system, dubbed LG Pay. While LG Pay will compete with Apple, Android and Samsung's payment systems, LG's model is currently planned to be available only in South Korea. This news confirms a rumor that sprung up in October that LG was getting into the mobile payments game. The announcement was made via an official Facebook post, showing off the partnership with electronics manufacturer's CEO Juno Cho standing with the CEOs of the banking firms involved in the program. The two partners, Shinhan Financial Group and KB Financial Group, are based in South Korea. 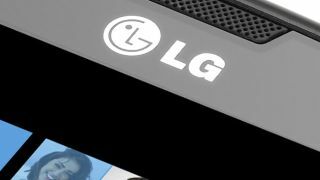 While this may cement LG Pay as a Korean-exclusive service, a report by TechCrunch says that more details will be revealed in the coming weeks, to include any possibilities of an international launch. Mobile payment platforms such as Apple Pay, Android Pay, and the relatively recent Samsung Pay have appeared over the past couple of years to offer an alternative to carrying around cash and cards. Banking services have also put out mobile payment apps to compete, greatly expanding options for the shopper on the go. Will we see LG Pay on the LG G4?